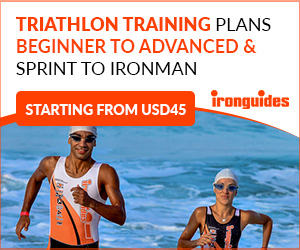 Ironman Busselton is a common choice for triathletes based in Asia. In fact, it is the Ironman I usually recommend to many of our athletes doing their first one. The relatively easy access to Perth, similar time zones and mild temperature are some of the benefits of racing in Busselton. And the course is very, very fast. Winners usually get close to the 8-hour mark, which is definitely the benchmark for a fast course. Since this race made its debut in 2004, pros have had to finish in 8:16 or faster to secure victory. The exception was 2005 when stormy conditions slowed the overall times—the top time that year was 8:27. The one-lap swim takes place at the stunning Busselton Jetty. Athletes start on one side of the jetty and swim around it (which, incidentally, is fantastic for spectating friends and family). 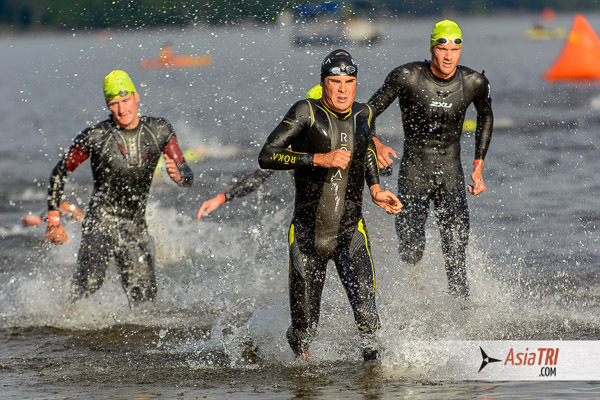 It is a wetsuit swim with a deep water start, which is something all athletes should be ready for. Swimming in a wetsuit, although it feels generally easier due to the extra flotation the suit provides, is also harder on your shoulders. Training in a wetsuit is recommended to strengthen your specific swimming muscles, and to get used to the feel of the suit and the extra strain on the shoulders. However, athletes based in the southern Asian locations such as KL, Singapore or Bangkok, face another problem: they only have access to warm pools. The hot weather and water make training in a wetsuit not only uncomfortable, but also dangerous due to risks of dehydration and overheating. A great way to simulate a wetsuit swim, without using the suit, is by swimming with a set of paddles and a pullbuoy. The buoy simulates the buoyancy of the wetsuit, while the paddles add the extra strain on the shoulders. Don’t aim to destroy yourself aerobically in these! The goal is to swim steady—not to set best times—holding your best time that is sustainable for the entire set. This set is about swim strength. You keep your heart rate down by using the paddles, while the pull buoy gets you positioned properly so you can focus on arm technique (which the paddles help with as well). It’s not a lung scorcher, so you are nice and recovered aerobically. Breaking the session down in shorter repeats gives you the same aerobic benefit as a straight swim but the short rest is enough to allow you to swim faster and with a better technique, teaching you good habits. The three-lap pancake-flat H-shaped bike course can be fast and furious. In some years strong winds have been present. As confusing as it sounds, the biggest challenge of this course is that it’s 100% flat. 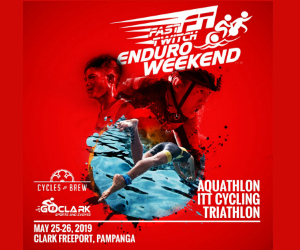 The problem lies in the fact that you get no break or resting period at all, as opposed to hilly or undulating courses on which you can coast and rest a bit when going downhill. Busselton requires some serious bike endurance and strength, both leg and core, since you are supposed to ride on your aerobars for the entire bike leg. It is important to do most of your long bike sessions on a flat course to improve your endurance and specific racing needs. If you live in a hilly area with very limited access to flat roads, an indoor trainer is a great option to work on endurance since it simulates the no-rest-or-coasting conditions of Busselton. The new four-lap run course along the Busselton foreshore is also flat, which only adds to the neuromuscular fatigue of your already tired biking legs. At Busselton, there are no hills but there is also no rest! Your muscles are firing at the same rate and your stride is exactly the same for the entire course. Unless you are a very experienced triathlete who is aiming for a placing, I highly recommend using a run:walk protocol, which provides you with a neuromuscular reset every so often. In racing, aid stations may be our saving grace in more ways than just the opportunity to refuel. They give us a reason to stop or slow down for a short period of time. This, it appears, is enough time for a rest in neuromuscular patterns to occur. Many professional Ironman racers will walk through aid stations. This is simply because they have learned that taking on fuel is easier after walking while they also feel better when they resume running. These breaks seem to ward off fatigue. A great way to simulate this scenario is by structuring your long runs with walk breaks to fuel, which will also give you the opportunity to run with a better technique, at a faster pace, and it decreases injury risk. 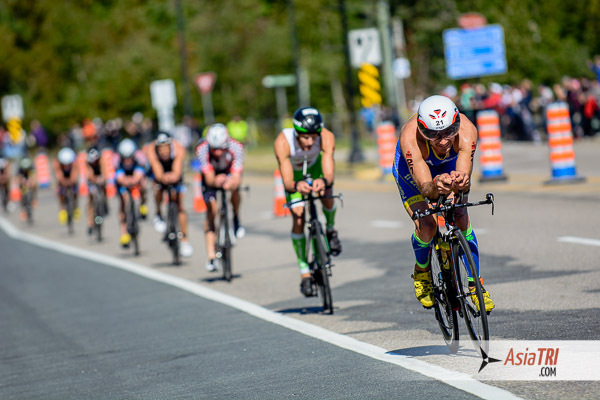 To sum it up, Ironman Busselton is a great experience, both for the first-time ironman and the veteran looking for a PB, but make sure you develop your endurance, learn how to use muscular resets on the bike and run, since the flat course can be extremely challenging.